There’s no greater joy than stepping into a music store and browsing around, hunting for forgotten sounds and instruments that have been played with by generations of music lovers. Singh Musical Instruments is one such store that is a legend in the city. Operational since 1920, its been a family-run business that’s been passed down one generation after another, with one interest close to their heart – making music to feed all those hungry souls who can’t live without it. 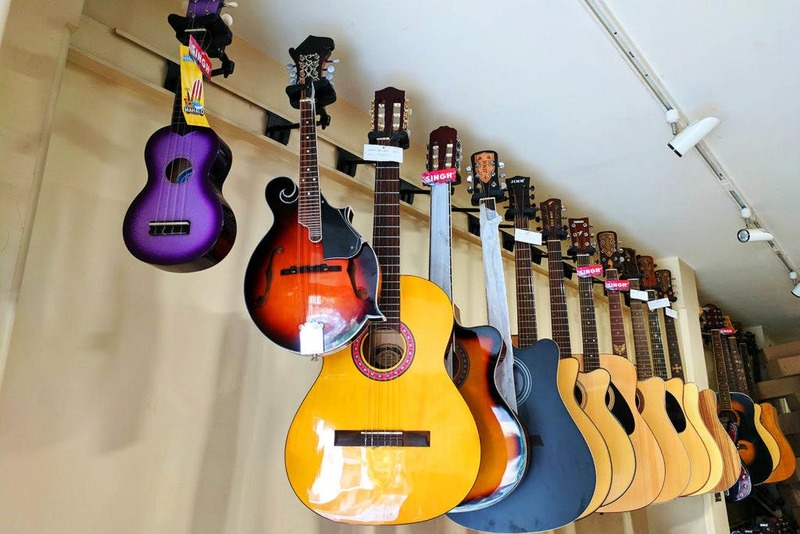 The Khar outlet is the oldest in the city, and has a number of instruments that you can buy. When we paid it a visit, we saw different types of harmoniums (for all you Hindustani music fans), guitars, electric shahi bajas, ektara, bulbul tarang, sitars, percussion instruments like bongo drums, congo drums, chippli, daff, dholaks; wind instruments like clarinets, flutes, shehnai and more; electronic tablas, saxophones, Djembe, trumpets; miniatures in the form of tablas, mini sarod and sarangi, mini bongo and even mini sitars. All you have to do is call them and place an order, which will be delivered in 10-15 days. For an exhaustive list of all their musical instruments, check this out. Also, their starting range for instruments is INR 4,200. If you’ve been thinking of buying a musical instrument or are a beginner who wants to learn an instrument, take a look at this legendary store that sells all kinds of instruments for every need. After all, everything is better with music.